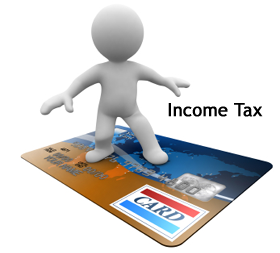 Go Cashless make payment through credit card or debit card and get Income tax benefit. Soon this is going to become the reality.Guideline of encouraging electronic transaction is being proposed by the government today. This smart move is aimed towards reducing cash transaction, tax avoidance and black money. Let’s take a quick look at what benefit you are likely to get for using credit card and debit card. The government is planning to give Tax benefits in terms of tax rebates to the consumer who use electronic mode for their expenditure. Current transaction charges on utility service like petrol pumps, gas agencies, railway ticket booking will be removed. Utility bill payment like electricity, gas, mobile bill etc. may fetch additional discount of 1%, similar to BSNL, which provide 1% discount on bill amount if bill payment is done through electronic mode. It is proposed that high-value transaction say, more than Rs. 1 Lac shall be done through electronic mode only. New grievance redressal mechanism to be introduced for supporting electronic transactions. In case of fraud transaction, the money will be credited back to customer account and card will be block. This card will be released after the investigation is over. It is also proposed to offer tax rebate benefit to shopkeepers and merchants for doing significant amount of sale through credit card or debit cards. If merchant is doing at least 50% of sale through electronic means this benefit is applicable. Additional 1-2% reduction in Value added Tax will be given on all electronic transactions by the shopkeeper or merchants. At present inter-change fee of debit card and credit card transactions are not uniform. Draft proposal said it should be rationalized. At present, banks have to report the cumulative of all the payments made by a credit card holder as one transaction, if such an amount is Rs. 2 Lac in a year. To facilitate high-value transactions, the upper limit of Rs. 2 Lac could be increased to say Rs. 5 Lac or more. Electronic transaction mentioned above also includes any prepaid instruments which facilitate electronic transaction like mobile wallets, mobile apps, net banking, Electronic clearing service, National electronic fund transfer and Immediate payment Service. It is indeed very good initiative by Government of India. It will help government to achieve following. I support this initiative. To support this initiative do share this post on Facebook and Twitter.